Home » » DVD Info: It is official: Remastered Godfather films coming in September. 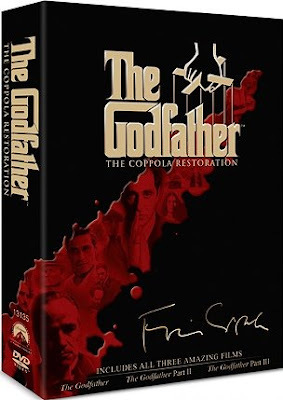 DVD Info: It is official: Remastered Godfather films coming in September. After months of talk, Paramount finally gives us the date and details for the release of the remastered Godfather films. The films will be released individually ($19.95 each), and has a set, on September 23rd. The collection will be released both on DVD ($72.99) and Blu-Ray ($11995).